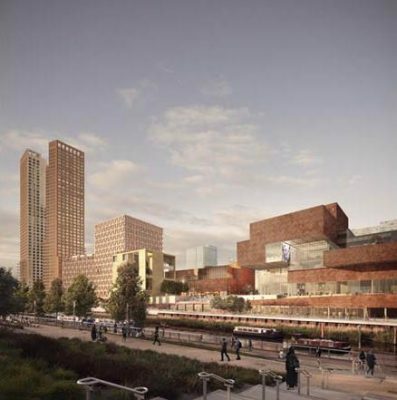 The London Legacy Development Corporation has submitted a planning application for Stratford Waterfront, as part of its £1.1bn plans for the East Bank regeneration at Queen Elizabeth Olympic Park. 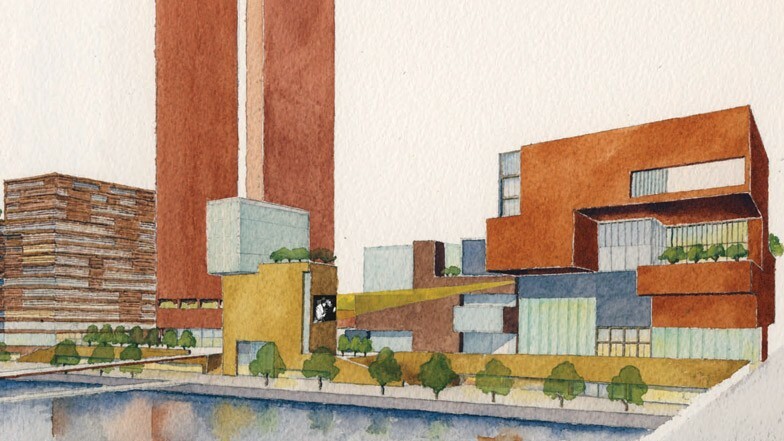 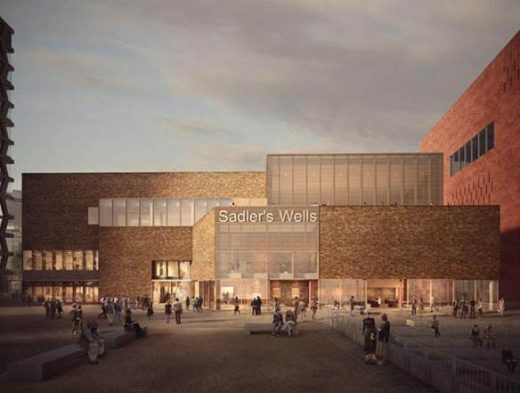 Stratford Waterfront, which has been masterplanned by Allies & Morrison, will be home to the V&A, Sadler’s Wells, UAL’s London College of Fashion and the BBC, as well as a new residential neighbourhood. 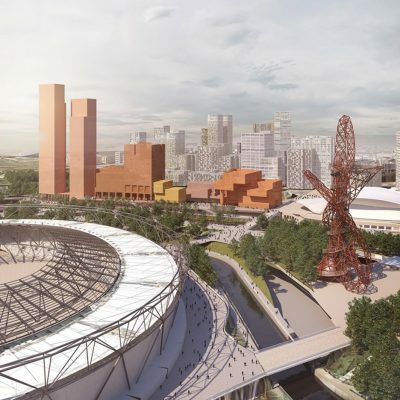 According to the masterplan architects, Stratford Waterfront is a new neighbourhood that will enable some of the world’s leading cultural and educational institutions to reach out into the London boroughs that hosted the Olympic Games. This important legacy investment will be the largest cultural investment in London since the Festival of Britain and the Southbank. 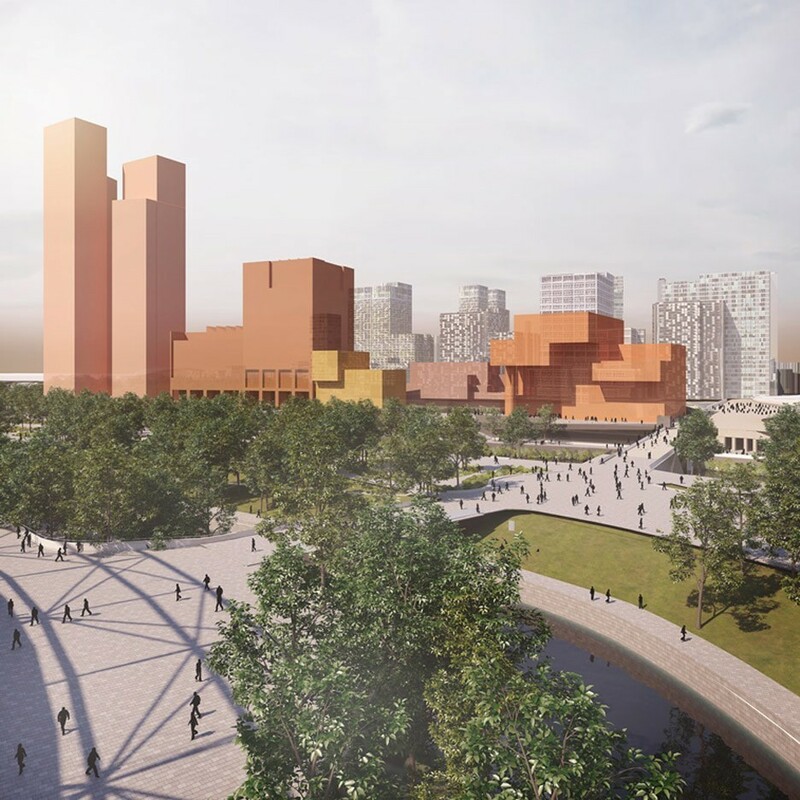 It will also add a significant number of new homes, retail space, a high-quality public realm and additional cultural/community spaces that extend the Park’s reach while inviting residents and visitors alike to participate in an exciting cross-pollination of culture, education and research. The project aspires to achieve this through accessible and porous architecture that is welcoming to people of all walks of life. 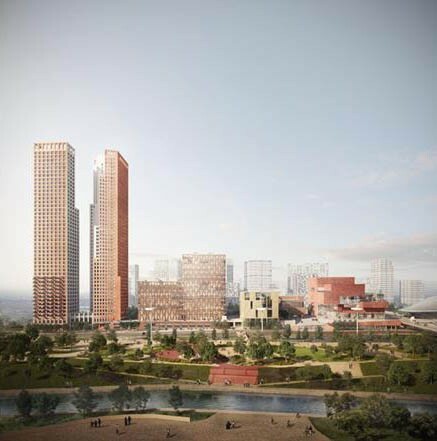 Stratford Waterfront scheme is for a new cultural district in East London. 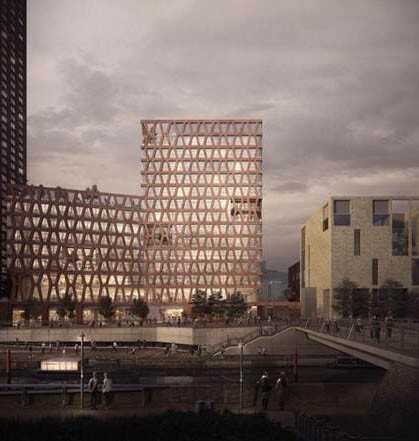 New images of the development at Stratford Waterfront by Allies & Morrison, O’Donnell & Tuomey and Arquitecturia have been released today. 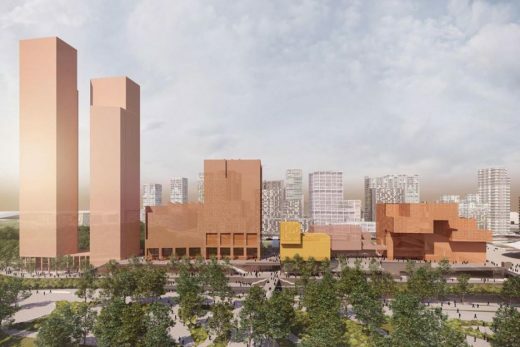 The images show detailed designs for new spaces for the V&A, the London College of Fashion and Sadler’s Wells. 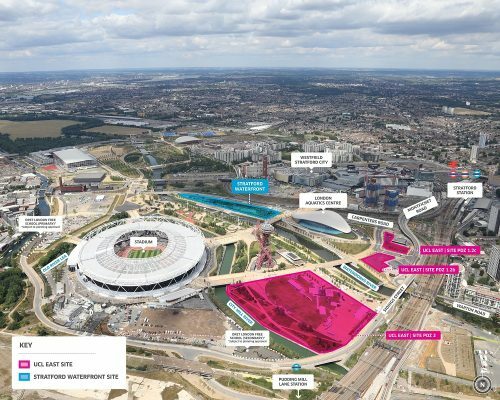 The proposals will be developed during the rest of the year with a detailed planning application scheduled for submission in December. 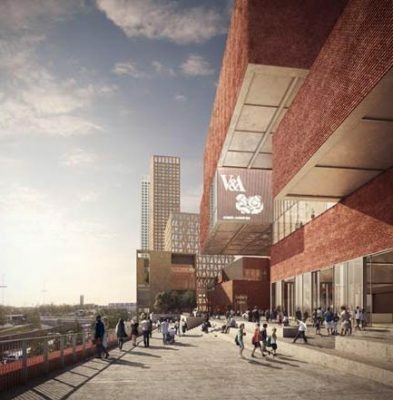 Building work on Stratford Waterfront is due to start in 2018 with the site due to open in 2020/21. The scheme is a key part of the regeneration of Queen Elizabeth Olympic Park. The cultural and education district will also include a new campus for UCL on a separate site to the south of the Orbit. 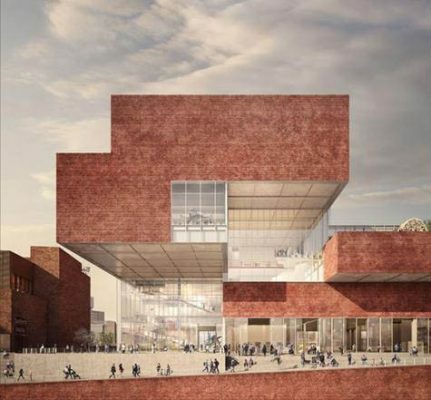 The first phase is expected to have up to 3,000 students and 625 staff, including academics and researchers.